This newly released Hubble image of the weeks shows galaxy cluster WHL J24.3324-8.477 surrounded by many other galaxies. This NASA/ESA Hubble Space Telescope image is chock-full of galaxies — each glowing speck is a different galaxy, bar the bright flash in the middle of the image which is actually a star lying within our own galaxy that just happened to be in the way. 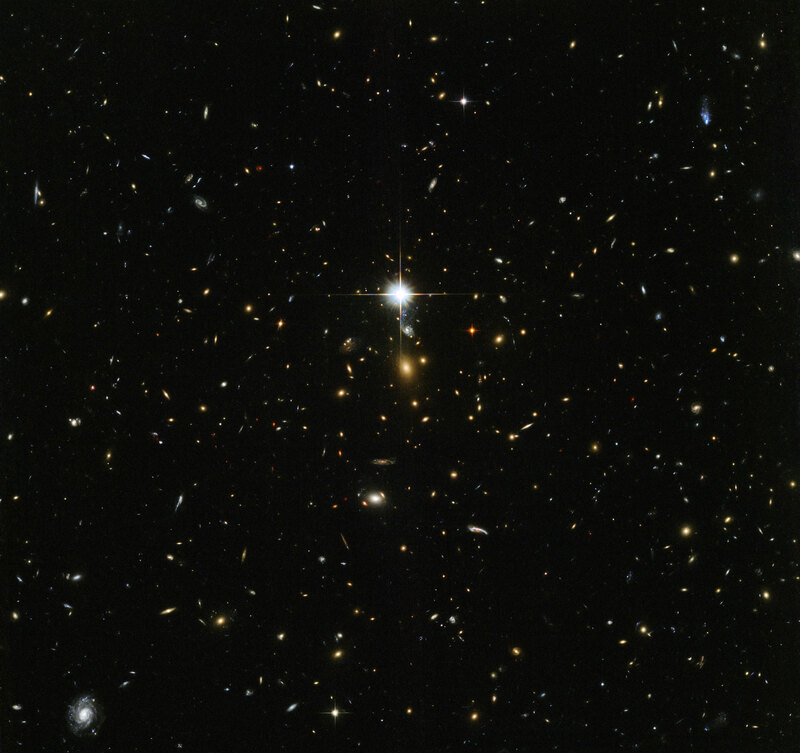 At the center of the image lies something especially interesting, the center of the massive galaxy cluster called WHL J24.3324-8.477, including the brightest galaxy of the cluster. 1 Comment on "Hubble Telescope Image of the Week – Cosmic Archaeology"